EDINBURG — Don’t ever forget about Dakarai Tucker. While opponents may put their focus on Isaiah Hartenstein, Gary Payton II or Michael Frazier, if they forget about Tucker, a sharpshooter with a smooth stroke and deep range who can also slash his way to the basket, they could be in a world of hurt. The Santa Cruz Warriors found that out Tuesday night. Whether they forgot him is irrelevant. He gave them plenty of memories on a night when he scored 28 points, burying 6 of 12 3-pointers and getting the hot touch during a second- and third-quarter run that was one to remember, especially for the visiting Warriors. 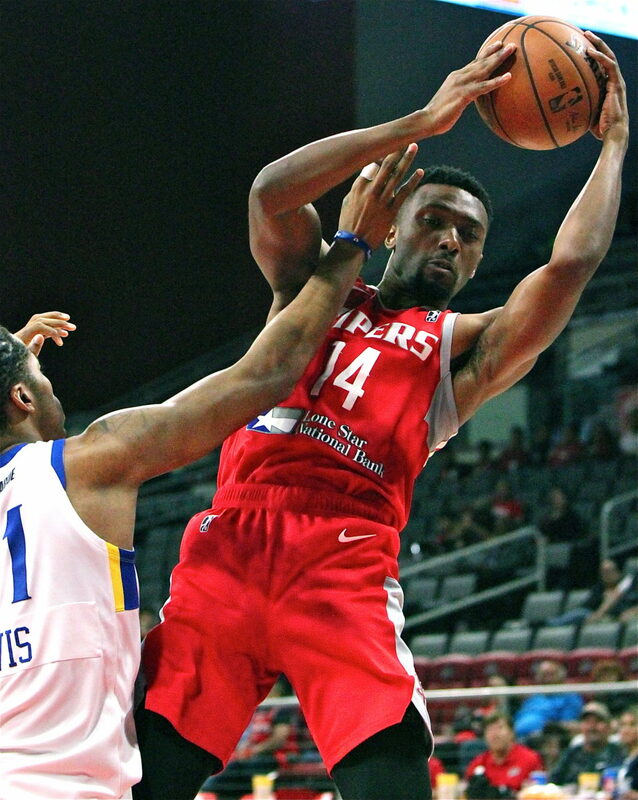 That hot streak helped guide the Vipers to a scorching 144-125 victory and sent them to the G League championship series against the Long Island Nets beginning Sunday in Long Island. Game 2 of the best-of-three series will be held Tuesday at Bert Ogden Arena. If a third game is necessary, it would be played in Long Island. Trailing 53-51 during the second quarter, the Vipers closed a small gap to one but couldn’t get over the hump. That changed following a pair of free throws from Tucker to tie the game at 53. Then the Vipers struck, savagely over and over again. First it was an alley-oop dunk to Chris Walker that got the fans into a frenzy. Tucker followed that with a reverse layup in traffic and three 3-pointers and the lead exploded to 66-55. After another dunk by Walker and some free throws between both teams, a clearly confident Tucker nailed another 3. The Vipers outscored the Warriors 24-6 starting with Tucker’s two free throws. Tucker scored 16 of those points during that span, and the announced crowd of 8,128 erupted each time. Tucker has scored 20 or more points 12 times this year, tied with Hartenstein but behind only Frazier who has done it 15 times. He’s led the team seven times in scoring this year, but none of those were as enjoyable as Tuesday’s performance. Tucker showed he could take it to the rim in the second half with a pair of strong drives and a free throw. Suddenly, just a few minutes into the third quarter, the Vipers held a 20-point lead at 88-68. First-year coach Joseph Blair said that once the Vipers stopped turning the ball over in the first quarter and early part of the second, the team could finally make a run, led by Tucker.